For some time we considered the introduction of a dual registered quarter horse/stock horse stallion to our stud. 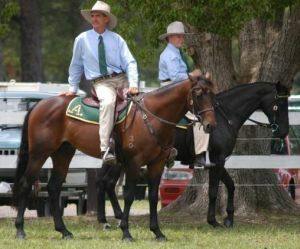 When the chance arose to purchase Crillee Amarillo Oak from quarter horse breeder Mr Ian Burns of Dubbo, NSW, we felt that it was an opportunity not to be overlooked. 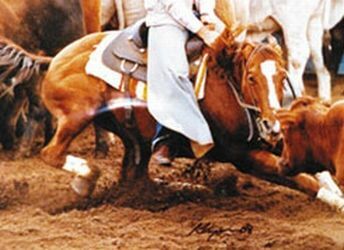 Crillee Amarillo Oak (“Freckles”) is by Docs Freckles Oak (imp) and from the extremely well bred mare Top Mark Amarillo. He is very nicely put together horse with characteristics that we look for in our stock horses. This horse is contributing a wonderful out-cross with stock horse mares and would be an asset to anyone looking to introduce the calm temperament and trainability of the quarter horse into their stock horse breeding programme. 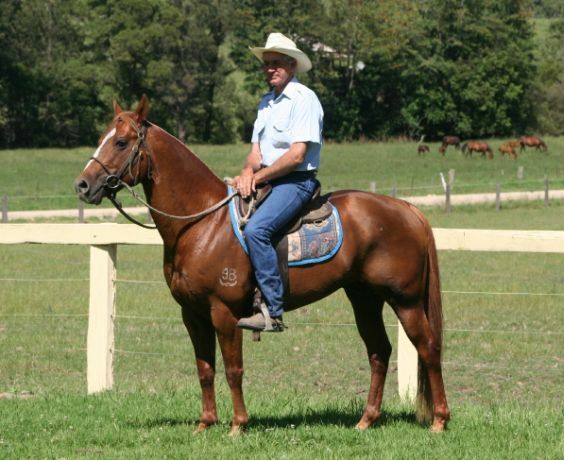 He has sired many top performing quarter horses and we are delighted with the lovely, soft, and trainable horses that we are producing over our own stock horse mares. Stock by him are now competing at the highest level with success both in led and performance classes. We haven’t taken the decision to introduce this horse lightly and have done a lot of research into the quarter horse bloodlines that most suit the ASH, both from a commercial viewpoint as well as a practical one. We are pleased to advise that Brittany Hetherington now owns “Freckles”, and is standing him at stud for the 2018 stud season. This entry was posted in Show RIng, Stallions and tagged AQHA, Crillee Amarillo Oak, Docs Freckles Oak, Top Mark Amarillo by SilverAdmin. Bookmark the permalink. … Thank you very much for a wonderful weekend in Bangalow. Everyone thoroughly enjoyed themselves and took away some great skills to work with their horses. Paul you asked what I got out of it and why was it different to other training clinics I have been to. I always come away with extra skills to work with. Being consistent with utilising them is another thing with me. I do get upset sometimes as I feel that my horse is getting the better of me, but I am determined to make him work for the both of us. He is a lovely horse and I am very fond of him. Paul – you’re kind, polite, intuitive, humble and make it easy for people to relax. You take the time to explain the training method and how this will benefit you and the horse. Everyone gets the opportunity to participate and stay active. Having Brittany is such a bonus. Brittany – You have a maturity beyond your years and a professional approach to the task at hand, dealing with different horses, people’s emotions is not easy for anyone. Your impeccable riding, attitude and beautiful personality is an inspiration to the younger riders. You show them, that if you want something so bad, work hard and you can succeed. Thanks again and can’t wait to see you at Bangalow for another clinic. 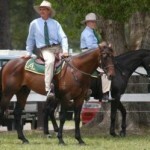 … Thank you Paul for an excellent clinic, we got through so much and took away excellent skills to work with our horses. Softness, flexion, preparation, consistency are a few that coe to mind. Thank you Brittany for joining Paul at the clinic and helping rider on a one on one basis, focusing on individual issues. Look forward to planning the next clinic. … Thank you Paul and Brittany for a very informative and most enjoyable clinic. All participants looking forward to another one in in the New Year. … Thank you so much for such a fantastic weekend!! … Was a wonderful weekend, thank you to everyone who came and thank you especially to Paul and Brittany. … Thank you for a very successful wonderful weekend – love the ‘stories’ and hearing of all your experiences. Brittany you are a little gem and a “beautiful” rider, such a pleasure to watch – your expertise and generosity in riding the horses was a fantastic extra bonus for us all, a special thank you. Everyone has been full of accolades for you both. The improvement in horse and rider is confirmation of your ability to tutor, train, encourage and inspire. We will look forward to another clinic in the near future. … Home safe from an amazing Silverthorn Clinic. I learned so much over the two days and improved out of sight, also met some amazing new friends. Can’t recommend this clinic enough and the hospitality is fantastic. Thanks Paul, Julie and Britt. … Thank you Paul, Julie and Bittany for a wonderful weekend. I loved it. … Like to thank Paul Wardell of Silverthorn Stock Horse Stud for the super job he did with our breaker. Our daughter had an absolute ball when she rode him today. Newcomer 2017 can’t wait. ... "Thank you very much to Paul, Ashley, Tiffany , Mick and yourself for a very constructive and enjoyable day. Both Cass and I came home feeling like we had benefitted greatly." ... "We would like to thank you for a great weekend - we loved it and learned a lot." ... "I just want to say thank you for another great weekend. Although a bit on the chilly side it was great to catch up again and refresh old skills from previous clinics and pick up some new tips. It was great to also have Kylie and Carolyn for extra tips in their sport. Every time I come to your place I am made to feel so welcome and my horse and my ability is not judged. You are so good at teaching skills that I can achieve at home after I leave and are explained well. Thank you again from the bottom of my heart." ... "Thanks again for your wonderful hospitality and pearls of wisdom." ... "I just wanted to thank you for an outstanding clinic last Sunday. I have been to a few since I bought my float but none compared to yours. The improvement in my attitude and confidence from days beginning to end is inconceivable. I loved your ability to get riders to relax and to cater for differing levels. Paul you have the rare gift of being able to engage everyone in the conversation and to value their opinion. So much more beneficial than mere constructive criticism. Julie you mentioned if I got one thing from the day it would be worth it - I am happy to tell you I got a lot more than that. I have gained understanding and that will influence everything I do with my horse from now on. Thanks again and I hope to get the opportunity to work with you again." ... "thank you for all your help at the clinic last Sunday. I went into that arena a nervous wreck but came out feeling like I was a rider again. Not a bad result for one day’s instruction! You were great taking me back to basics and helping me relax so the horse could. I haven’t mastered collection yet but I sure have a better understanding of it and how to achieve it. I also think I’m beginning to feel what lightness and softness mean." ... "I just wanted to say thank you very much for a wonderful day on Sunday. I learnt to much and had a wonderful time." ... "WOW, What a fantastic weekend of learning was had here by all, Huge thanks to Paul & Britt, wonderful trainers sharing their knowledge and working tirelessly and patiently in the heat. I have already received heaps of praising calls and emails from the clinic\'s riders, all are exhausted but elated with the knowledge they gained and how their horses have improved! We were blessed to have had wonderful weather, great company, enthusiastic riders and of course Paul & Britt with your amazing horses." "Thanks again for a great wknd. I got so much more out if it. Understanding more of what Paul wanted me to do. I guess confidence has a huge part part in it too. Pls let me know when the next one is on as I can\'t wait plus I have two friends that seen pretty keen n will come too. I wish I found you and Paul years ago. I can\'t wait to gave a crack at some small shows now. Thanks also to britty n April as well. You have such a great team." "Another fantastic weekend at your place and so another very big thank you for your hospitality and generosity is in order! We both had a great time and it was very exciting to join in with our own Silverthorn horses this time. We continue to learn new skills and to attempt improve on what we\'ve learnt previously and apply this to our current horses. Brit, April, Lizzie, Mick and Tiff were all so kind, helpful and patient, instructing in the usual thoughtful Silverthorn way, but of course, they have all learnt from the best, Thank you Paul! Everyone was encouraged and catered for no matter what level or interest they had. So once again, a successful school! The food and company we lovely as usual, not to mention the cosy beds! Thank you for you unending hard work Julie. Can\'t wait for the next one!" "Both Tia and I had a wonderful day and hope to put all we learnt to good use in our practise and showing." "Thanks a bunch for the weekend : it was wonderful as always." "I\'m so grateful to have the experience of attending your clinic. I learnt so much and I\'m very keen for the next." "I just wanted to send you an email to say a huge thank you again for the great weekend. I was so skeptical due to never doing a clinic like this before and recently having issues with my mare made me push to get help. I was so impressed by what you do. The small group really appealed to me being nervous and not knowing what to expect. I was also surprised how well you managed so many different people with different abilities and disciplines. Even standing to wait our turn was great as I was able to watch Paul, Brit, April and Joe help the others with problems with their horses. Problems I have had in the past and now and I was able to learn techniques to fix them. It was great that what Paul had showed me was able to be practiced more under the supervision of Brit and crew. The food was amazing and so was the atmosphere. I will certainly be doing more clinics in the future." "I just wanted to thank you both so much for an incredible weekend. I had so much fun and learnt so much. Fly has been going really well so far since being home – I have ridden him every day since returning and he hasn’t put a foot wrong and has been a pleasure to ride. Thank you for your hospitality and knowledge. Looking forward to doing some more clinics with you both in the future." "Thank you both for a fantastic clinic, Greg and I had a good time and I learnt so much, I am looking forward to putting those skills into practice." "Just wanted to say thank you for a rewarding and fun day on Saturday, Grayce loves coming there, your hospitality and warmth is fantastic, hope to see you in December if not after the new year." Thank you so much for the awesome weekend I have learnt so much, Paul has the ability to get all his knowledge across so easily and so kindly. Julie thank you for all your loving care and great food Iam sure I have gained a few pounds ha.Thanks to the team Brit, Joe and April you are all great to be around and learn from, lastly thank you to Girl she is one of the best mares I have been lucky to ride I feel I have ridden her forever, what an opportunity thank you so much. " "I just wanted to thank you again for another great weekend up there. I just love being there with you and learning so much each time. I really appreciate the generosity you show me. I’ve got to mention Joe, Brit and April of course. They’re so kind and helpful and their skills in both riding and teaching are great credit to you. Everyone comes away feeling good about their efforts and having learnt so much." "Thanks again for a wonderful weekend. Great weather, great company, what more could you ask for." "Just wanted to say thanks again for a wonderful weekend, your hospitality is second to none!!!" "I personally had a fantastic time at the clinic – made some solid progress with my pony. Paul is a great trainer and Brittney is just wonderful and patient. "Thanks again to Paul & Brittany for a great weekend." "I had a friend who attended your clinic the other weekend and was very impressed with how much difference 1 weekend made for him and his horse." 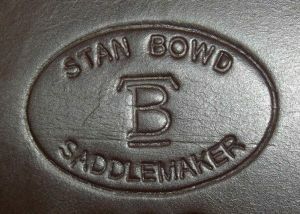 Copyright © 2019 Silverthorn Stock Horses. All Rights Reserved.